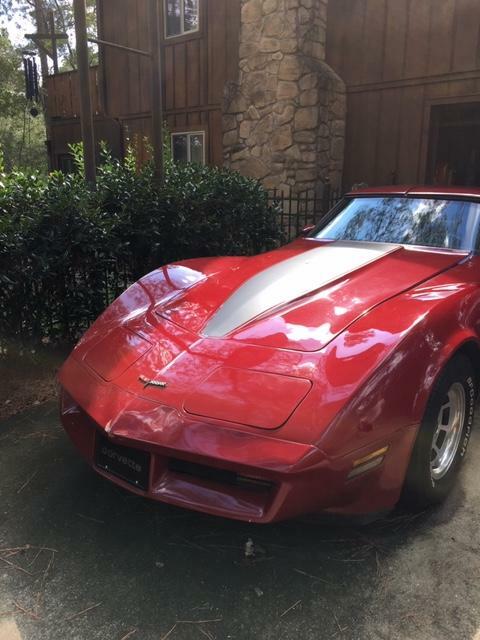 This 1980 two-door Corvette made our heart skip a beat this Valentine’s Day with its classic red paint job. 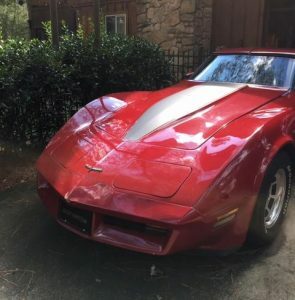 Corvette only produced this body style for two years, which made it very popular with Corvette collectors. The ’80 model weighed 250 pounds less than the earlier ’79, thanks to thinner doors. 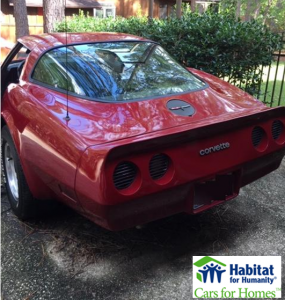 The Corvette was in great condition and clearly given love and TLC throughout its many years. The odometer only showed 56,000 miles at the time of donation! When you donate a vehicle to Cars for Homes, Habitat for Humanity’s vehicle donation program, the proceeds benefit your local Habitat. In this case, this donation supported the Fayetteville Area Habitat for Humanity in North Carolina. This local affiliate was incorporated into Habitat for Humanity International in 1988 and has served the community ever since. Habitat for Humanity provides affordable and quality housing to families in need. Car donations provide much-needed funding that supports Habitat’s builds. Habitat for Humanity uplifts individuals, families, and communities through their vision of a world where everyone has a decent place to live. Over the past two years, North Carolina was hit hard by Hurricanes Matthew and Florence. These two hurricanes destroyed many homes in Fayetteville. The Cars for Homes program, powered by Car Donation Wizard, is the best car donation program out there. You can trust that the money raised from your vehicle is going straight to your favorite charity. Between 75-80% of the gross proceeds from the vehicle go directly to the charity. That means less money goes to administrative costs and fees, and the bulk goes to building homes near you. You can support your own local Habitat by volunteering, donating furniture and building materials, or donating your car. Visit our website or call us at 877-277-4344 and we can get you started on your very own donation! Help turn cars into homes today!